Today's Stampin' Up! project has been made with one of the singular stamps from the catalogue - that is a stamp that is available to purchase on its own and isn't part of a set. 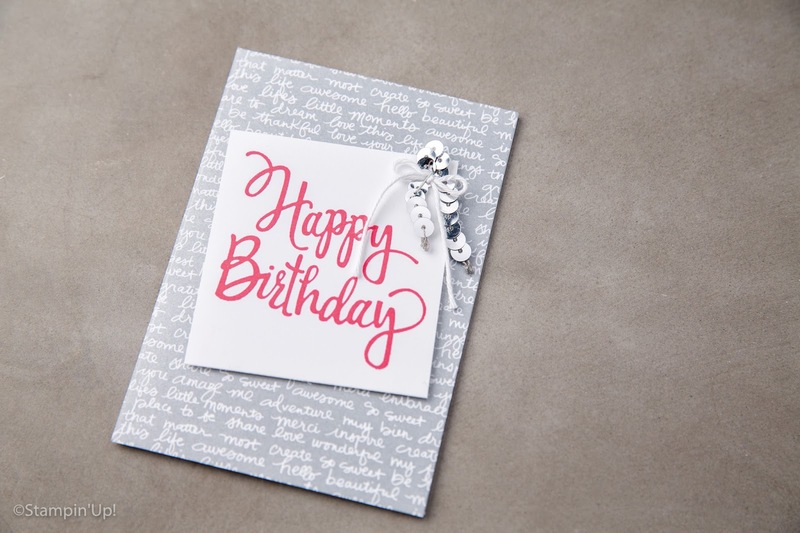 The Stylized Birthday stamp is big enough to make the perfect sentiment for a card front - it comes wood-mounted and costs £9.00 - it's gorgeous! Perfect for quick and easy cards.